Sebastian studied at the Mackintosh School of Architecture, Glasgow and at the Bartlett, University College London graduating in 1998. After completing a Diploma in Professional Practice and Management at the University of Newcastle, he registered as an Architect in March 2000. Following graduation, Sebastian was employed by John Potter Architect in Newcastle upon Tyne, a practice specialising in Expert Witness and Litigation services, Building Pathology and in research and development consultancy. His projects included designing, supervising and filming of a research project into airtight construction at the Building Research Establishment (BRE), Garston, for DuPont de Nemours Buildings Products Division. 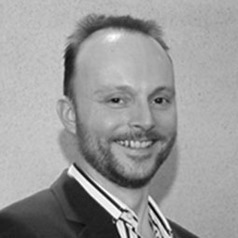 In April 2004 Sebastian joined Ian Belsham Associates Limited, a commercial architecture practice based in Gateshead, Tyne and Wear, becoming an Associate in July 2006. He was project architect for a variety of projects ranging from a contemporary extension to a Grade II listed folly, fit-outs of premises for Anderson & Garland auctioneers and Tyne Tees TV reception, to speculative residential and office developments. In 2005, Sebastian co-founded studioMWM which undertake art projects and architectural competitions between 2005 and 2010. Prior to joining Northumbria University full-time, he was a visiting lecturer on the undergraduate Architecture courses at Northumbria University and the University of Newcastle. Between 2000 and 2002 he tutored part-time on the Architecture degree course at the University of Central England, Birmingham and from 2002 to 2003 at the University of Newcastle, whilst working in practice. Since 2006 Sebastian has also tutored a student undertaking the RIBA Examinations in Architecture for Office-based Candidates administered by Oxford Brookes University who was one of only two of the twenty students in his cohort to complete and pass the Part 1 Examination in May 2011. In January 2010, with Carol Botton, Director of Northern Architecture, and Matthew Margetts, a Director at +3 Architecture, Sebastian began a project to help Architecture graduates who were struggling to find suitable employment in the region after graduating. Since starting, the G.R.A.D programme has undertaken a number of ‘live’ and self-instigated projects, as well as offering mentoring to the participants. Of the initial group, who had all been unemployed for over 6 months before joining the G.R.A.D project, 80% found employment in Architectural practices. Northumbria University, Postgraduate Certificate in Academic and Professional Learning. Newcastle Univesity, Postgraduate Diploma in Architectural Practice & Management (RIBA Part III). Bartlett School of Architecture, University College London, Postgraduate Diploma in Architecture (RIBA Part II). Mackintosh School of Architecture, Glasgow, Bachelor of Architectural Studies (B.Arch) with Honours (RIBA Part I).